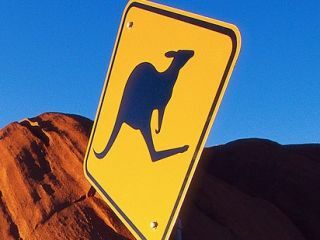 Project Kangaroo: Bouncing back for the last time? The Competition Commission sent Project Kangaroo back to the drawing board when they decided that the joint venture between the BBC, ITV and Channel 4 would be too dominant in the online VOD market. However, one of two new proposals has suggested the removal of archived catch-up television from the scheme as it tries to get through the process. The move would mean that BBC would continue with its use of the iPlayer as the primary access to its archived shows and Channel 4 would sell its archive to a third party as they do now as 4OD. The other option suggested would see each of the partners sets its own pricing on selling the shows online directly to consumers. "Each partner would independently set the business model and price at which its UK TV content is offered to consumers, the project Kangaroo CC submission reads. "Each party would therefore determine whether each item of content was pay or free, download-to-rent and/or download-to-own and/or subscription and the relevant price." The partners have been open that their latest submission is make or break; concluding "The parties do not consider that entering into the joint venture would be commercially viable if either of those remedies were adopted, and would not proceed with the joint venture in such circumstances."